We provide timber harvesting and woodlot management in Vermont and New Hampshire. We work on residential, commercial and municipal projects. 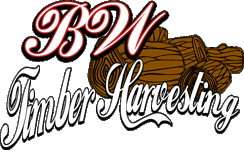 Whether you are a residential or commercial landowner, BW Timber Harvesting takes on both short and long-term timber harvesting projects. We listen to your goals for your property and develop a work plan within your budget to accomplish them. We help you get the most profit and pleasure from your land. We help you get the most value from your land and timber. We find a market for 100% of the cut timber to maximize your profit. Homeowners and businesses count on us for timber harvesting services. Ben White’s estimate for timber harvesting was fair and reasonable. The difference is noticeable- the forest seems healthier and we have a forest management plan going forward! Celebrating 20 years of responsible timber harvesting in Vermont and New Hampshire.